Cairo- On the sixth anniversary of Muammar Gaddafi’s death on Oct 20, for the first time a meeting held by the former Libyan leader with military officials is revealed. 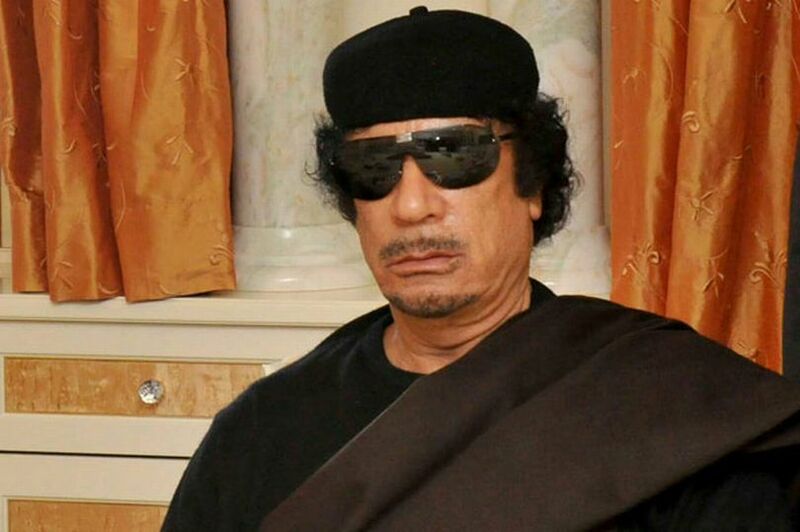 Gaddafi had granted army leaders the permission to leave wherever they wished after his exit from the capital Tripoli on August 20, 2011, according to information received by Asharq Al-Awsat newspaper. Gaddafi decided this during a meeting held in the city of Bani Walid, around 150 kilometers southeast of the capital. After that, Gaddafi headed to the city of Sirte where he chose to die. The former leader was killed on Oct 20, 2011. General Authority of Endowments and Islamic Affairs consultant Ali Abou Soua, who remained six years in prison with former regime leaders, said that during his imprisonment he knew that Gaddafi had held a rare meeting with military leaders in Bani Walid and granted them the permission to leave. Soua was imprisoned with former top Libyan officials including Intelligence Chief Abdullah al Senussi, head of external security Abu Zeid Omar Dourda, Prime Minister al-Baghdadi al-Mahmoudi and Gaddafi’s son Saadi. He spent a long time with Gaddafi’s son inside the prison. Soua described him as someone who loves solitude. “I talked with him the most. His answers and stances are confusing and he is a religious person. He supported his father but didn’t hold the weapon to fight until the regime was toppled in an attempt to save what could be saved,” Soua told Asharq Al-Awsat. The consultant also narrated that he had witnessed the death of four captains under torture in prison in an attempt to get information from them on the disappearance of Imam Moussa Sadr during the tenure of Gaddafi.